- Pretty darn amazing for $20 when they were on sale (now $40). The setup experience is pretty excellent with my amazon account already setup for me. After setting up wifi and a firmware update I was up and running. - I really like the UI. This is my first fire product, and I like it. Everything feels fast and responsive. - Having an actual remote and local storage for android apps is nice. There was a bit over 5.5gb left for apps. There was even a setting to allow side loading which I'll dig deeper later. It seems like you push apk's from your pc over the lan. - Prime video looked great and output dolby digital 5.1 plus. - The other apps I briefly tried all performed well: netflix, youtube, plex (change the default bitrate to max and it looks a lot better), twitch, tunein. Everything was responsive and looked good. - fire tv remote control app is only on android for now. The iOS version isn't out yet. I tested it with my nexus 7 2013 and it worked fine. - Sonic games won't work without a controller. It doesn't work with the remote. I tried pairing my dualshock 4 (hold down share then ps button until it flashes to put into pairing mode). The fire tv would discover the controller but pairing would fail every time. I tried some other game called unpossible with the remote and it worked fine. - Mirroring with my nexus 7 worked ok but was just an overall pretty crappy experience like pretty much every time I tried mirroring under android. Minecraft: mirroring fails. Facebook: worked fine. Chrome: failed after a while. Sky Force: worked ok but serious performance issues on the tablet made it pretty unplayable. For $20 I'm super impressed. Even at $40 it's probably not that bad of a deal. The hardware feels snappy and you have quite a good selection of apps. 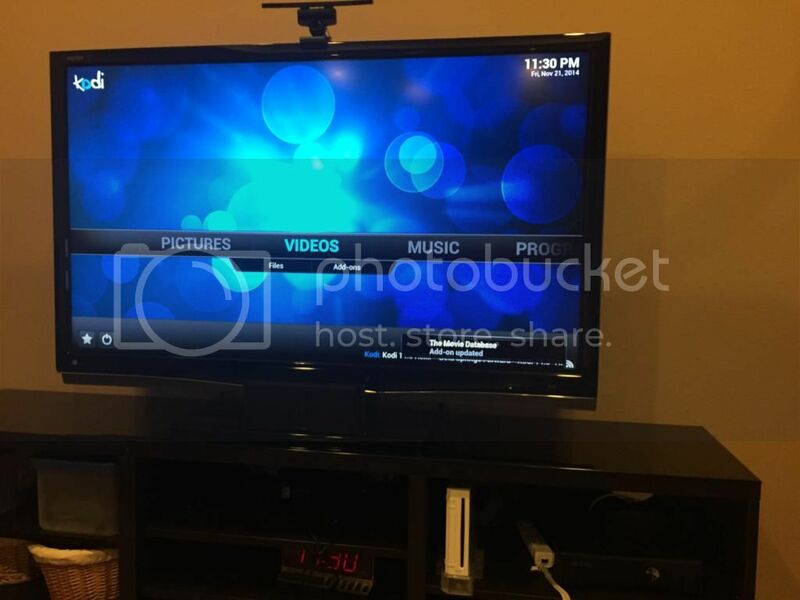 With the addition of side loading that opens up a lot more possibilities (maybe xbmc). At $20 I would have picked up a couple of more at that price if I knew these little sticks were this nice. -Wow that took all of 5 min to side load the latest firefox and kodi beta xbmc apks. I enabled both developer options. Apps that you side load show up in settings | Applications | Manage all installed. There's another way by installing the free kodi "app"
It's really just an icon since you still have to side load kodi yourself. You'll also have to go to settings|account and sync. If you upgrade kodi you'll probably have to deregister/reregister your device again. If you have more than one fire tv it probably won't work on the other ones besides your first one. I find the llama method still more reliable. You might also give fire starter a try as yet another way to launch side loaded apps. - Streaming 1080p mkv dts play just fine. Looks really smooth. Upped the audio output to 5.1 and my receiver shows multichannel so I guess xbmc is doing the decoding. 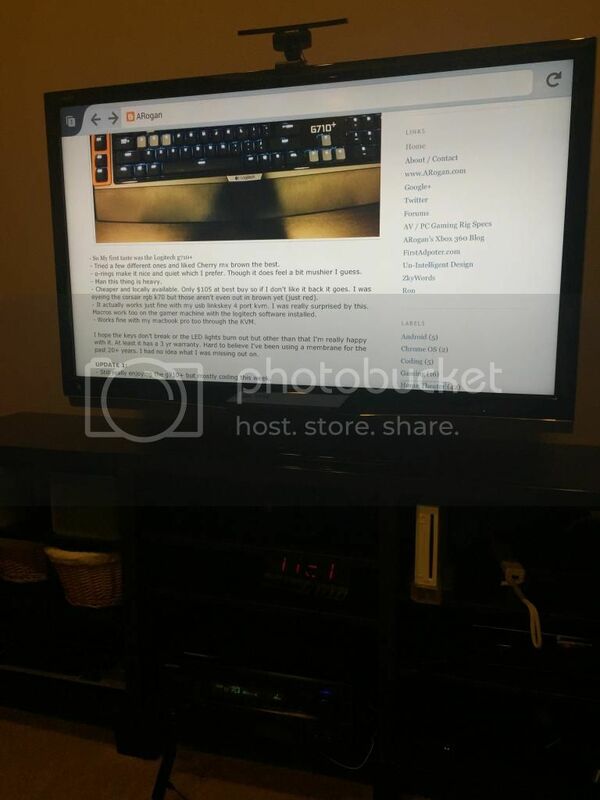 So ummm yeah $20 for xbmc, browsing (used the nexus 7 as the keyboard), and android apps. Wow, best $20 spent ever. - So I picked up 2 X regular full size fire tv's now. I'm using a flirc with them to access even more functions of kodi with a remote. It's all working very well. Flirc was up to date firmware wise right out of the box. The only thing I had to learn from the logitech smart control hub was the single quote key (') for small skip back. On the harmony add the flirc as manufacturer: flirc, model: kodi. On one of them I added a usb hub and connected a keyboard/mouse along with the flirc. It works ok on the side loaded chrome browser. - DD 5.1/DTS passthrough works fine. - It feels faster than the stick but I think that's a combo of the faster quad core cpu + moving from wifi to gigabit ethernet. Seeking and scanning is quick. - browsing with android chrome or firefox isn't half bad. Keyboard/mouse is supported pretty well on fire tv. - Side loaded siriusxm and subsonic android apps both which worked well. Having most of the popular apps in the amazon app store + kodi + side loading android apps makes this the single best value of any streaming box IMO. At this point I've replaced most of my wd tv live boxes with other devices like the fire tv or the med600x3d. I liked the fire tv stick but I love the regular fire tv. I think the stick will be nice for travel though. I can see using it in a hotel and firing up plex or kodi + personal cloud with a hootoo. If you have some playback issues/stuttering you might want to try disabling MediaCodec hardware acceleration. Leave libstagefright on.